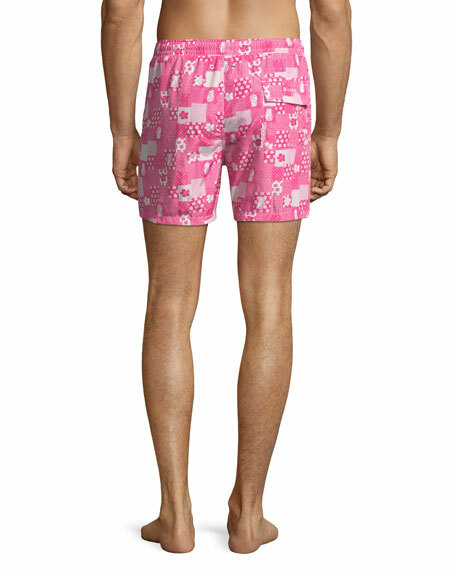 Kiton swim trunks in patchwork pattern. 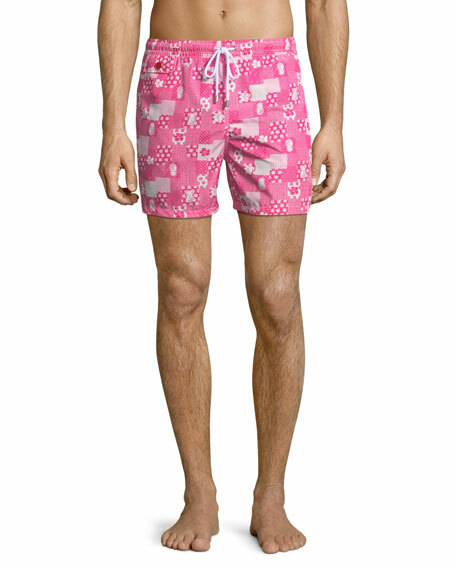 Orlebar Brown "Bulldog" style swim trunks. Quick-drying fabric. Side slash pockets; back zip pocket. Mid-length legs; tailored fit. Buckled hip tabs at sides. Zip fly; snap-front. Nylon/polyurethane. Imported. Model's measurements: Height 6'1"/185cm, waist 32"/81cm, typically wears size M.